Banana leaves are generally large, flexible, and waterproof. Traditionally banana leaf is very useful for cooking in India. 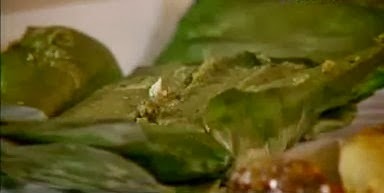 When cooking food wrapped in banana leaves, it confer an aroma to the food and add a subtle flavor to the dish, This Murrel and Prawn paturi (cooking wrapped in a leaf) recipe – can be cooked like Balinese Fish Pepes, Amok Trey a Cambodian Steamed Fish Curry, Thai Steamed Curried Fish Recipe Hor Mok Pla, Yucatan-Style Grilled Fish or a Mexican baked dish like Tamales, Malaysian version of this dish called Otak-Otak, Pasteles of Latin America, or a Brazilian recipe called - Peixe na Folha de Bananeira (Fish in a Banana Leaf), but in Bengal we can easily use any of those edible leaf like lotus. 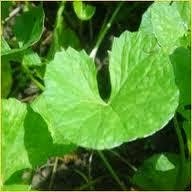 bottle guard or pumpkin for a variation to cook the Paturi. . All dishes can be cooked like the same as Patra Ni Machchi or else Shoul Chingri Pora (paturi). First cleanse the Shoul fish well, trim off the head, tail, and and the skin. If you buy a whole fish you can easily remove it from the neck side. Carefully push the backbone of the fish down onto the board. Now remove the bones as much as possible with your fingertips, pound the fish with the back of a knife all the way along the length of the fish until it flattens out. Wash and clean the prawns with warm salty water, remove the veins and make a paste of the prawns with 4 to 5 green chillies, 5 to 6 cloves of garlic, mustard oil, kasundi (bengali mustard chutney), turmeric and salt as required. Now make 8 pieces of the Shoul fish, rub them thoroughly with the paste. Wash the banana leaves and the earthen pot with lukewarm water, pat dry. Take some mustard oil and rub inside the pot and on the banana leaves too. Take marinated fish one by one and wrap the fish like a parcel with the banana leaves and secure them with the white thread. Now place the parcels inside the pot, cover the pot with another banana leaf and place on low flame for 10 to 15 minutes. It will be cooked by then. You can cook this Bengali fish recipe inside the bamboo tube too. Then you have to watch the bamboo tube carefully, it may catch fire so it requires constant attention. After the earthen pot cools down take out the baked fish, serve with piping hot rice, a piece of lemon, green chilli, and raw mustard oil. You never can forget the taste.